The show is always better than the words, the experience is the kingly way. Although skipping prototyping during the design process can save some time, it is likely to waste more time during the development process. If people are used to trying before buying pants, and trial run before buying a car, then it would be sensible to test your design with prototype parts before the development phase. There is no single answer as to how to make a prototype and which process to use. 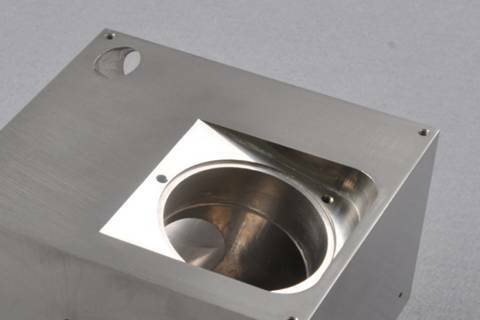 The following describes a process that is primarily used to process prototypes in the rapid prototyping field - CNC machining. It is different from 3D printing, and it is subtractive manufacturing. Usually, the supplier gets a project and goes through the following steps. According to the processing drawings provided by the customer, the staff can analyze the shape, dimensional accuracy, surface roughness, workpiece material, blank type and heat treatment status of the part. Then select the machine tool, the tool, determine the positioning and clamping device, the processing method, the processing sequence and the amount of cutting. In the process of determining the machining process, the instruction function of the CNC machine tool used should be fully considered, and the efficiency of the machine tool should be fully utilized to achieve a reasonable processing route, a small number of passes and a short processing time. According to the geometrical dimensions of the machined parts and the programmed coordinate system, the motion track of the center of the path is calculated to obtain all the tool position data. Generally, the numerical control system has the functions of linear interpolation and circular interpolation. For contour processing of flat shapes with simple shapes (such as parts composed of straight lines and circular arcs), only the starting point, end point and arc of the geometric elements need to be calculated. The center of the circle (or the radius of the arc), the intersection of the two geometric elements, or the coordinate value of the tangent point. If the CNC system has no tool compensation function, the coordinate value of the motion path of the tool center is calculated. For parts with complex shapes (such as parts consisting of non-circular curves and curved surfaces), straight lines (or arc segments) are required to approximate the actual curve or surface, and the coordinates of the nodes are calculated according to the required machining accuracy. According to the tool path of the part, the tool movement track data and the determined process parameters and auxiliary actions are calculated. The programmer can program the parts according to the function instructions and block format specified by the CNC system. 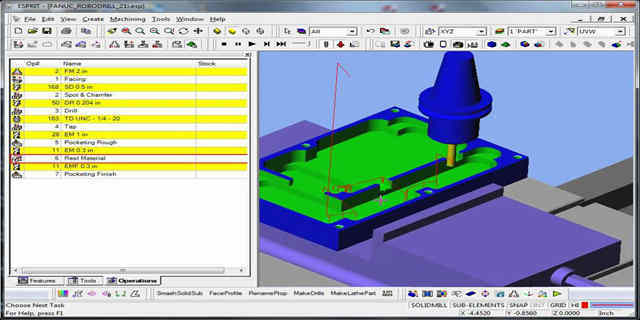 At the time of writing, it should be noted that: first, the normativeness of program writing should be easy to express and communicate; secondly, on the basis of the full familiarity with the performance and instructions of the CNC machine tools used, the techniques used in each instruction and the skills of programming the program segment. The general machining materials are metal and plastic. The metal is mainly aluminum, stainless steel, sheet metal, magnesium alloy, titanium alloy and the like. 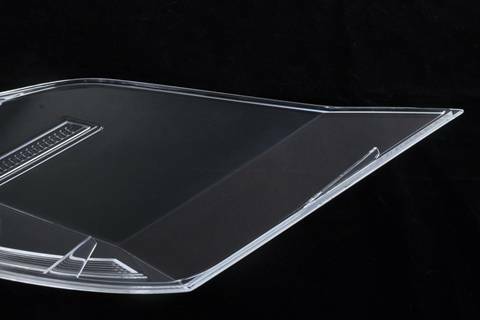 Plastic materials are ABS, PMMA, PC, PP, POM, etc. The first step in processing the material onto the machine is rough cut. Roughing should use a larger knife as much as possible to quickly remove a large amount of workpiece material with a large amount of cutting within the range of machine power or tool tolerance. In order to prevent the workpiece from loosening due to the cutting vibration during rough machining, it should be checked in time after opening and re-aligning if necessary. For workpieces with complex cavities, because of the large tool used for opening and roughing, a large amount of residual space remains in the corners, and it is necessary to perform secondary roughing or clear-up corners with a tool smaller than that in roughing. When the machining area is relatively large, semi-finishing can be performed to reduce tool loss. 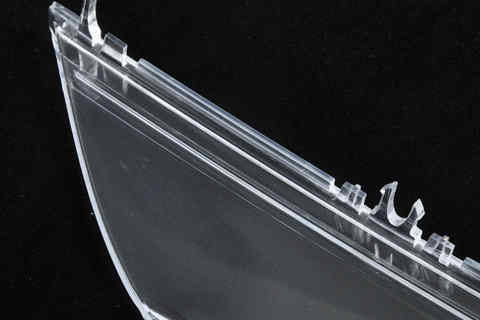 In order to prevent overcutting, the above steps must be left with sufficient margin and finally the finishing process. Under normal circumstances, try to check on the machine tool, remove it after passing the test, and then prepare the next piece of processing. There is a variety of finishing options for surface treatment after machining the CNC parts, including manual cornering, sandblasting, polishing, sandblasting, painting, silkscreen, plating, oxidation, etc. Cleanup corners: Due to the congenital defects in CNC machining, the structural clearing angle cannot be fully in place. Almost all the engraved and milled workpieces need to be manually chiseled with specific tools, and then the assembly relationship is adjusted. Smoothing: It is part of the surface treatment during the production of prototype parts. Generally, the hand board needs to be polished after being machined by the machine CNC, because the surface of the hand board will have some burrs, knife marks, etc. Sanding paper is needed for sanding and it has different sandpaper. Grade, the smaller the number, the thicker the sand, the larger the number, the smaller the sand. Polishing: Generally, both PMMA and PC need to be polished to achieve a transparent or mirror effect. Sandblasting: Sandblasting can remove the burrs on the surface of the part (smaller), make the surface form a small pit, prepare for the subsequent surface processing, form the pressure layer on the surface, and improve the surface fatigue resistance. Painting: Spray paint has a protective and beautiful effect. The supplier is coloring according to the Pantone or RAL number given by the customer. Silkscreen: In the process that you need to print the logo, you can choose the color. Plating: It is a process of attaching a metal film to the surface of a metal or other material by electrolysis to prevent metal oxidation (such as rust), improve wear resistance, electrical conductivity, light reflectivity, corrosion resistance (copper sulfate, etc.) ) and enhance the appearance of beauty. 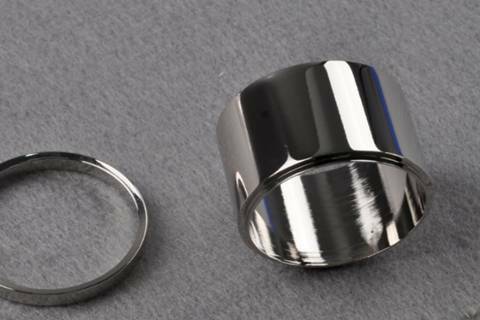 Oxidation: It is a wide-ranging process for overcoming the defects of aluminum alloy surface hardness and wear resistance, expanding the application range and prolonging the service life. CNC machining is the most widely used process for prototyping. As a professional prototype manufacturer, Wayken is excellent at CNC machining various parts. Short lead time, tight tolerances, moderate price, welcome contact us for any inquiry.